We made this post for those of you who have already seen the episode and want to discuss it. What did you guys think of the episode? What was your favorite scene? We’d love to hear from you guys. Let us know in the comments! Since we try to keep our twitter and Facebook spoiler free for those who haven’t seen the episode yet, we created a post where people can discuss the new episode. So feel free to discuss away in the comments! My favourite scene is when Jamie and Murtagh are re-united, so happy to have him back, that is actually the best so far this season for me. This was my favorite episode so far this season, both heartbreaking and heartwarming. Sam and Cat brought me along on the emotional ride! Also, I love the way Murtah was reintroduced to the story! Loved this episode. I was glued to the story the whole time. Invested like I was there again. Loved how they brought Murtagh back. And loved him singing or whistling that song for Claire. I had s big smile on my face. This episode blew me away!! Everything worked!! The filming, acting, and the writing was superb. The writers thought of everything. Oh, and the NA woman knew Brianna was there already, but Claire thought she meant in her heart. Loved it. I like it when they allow us book readers or watchers to “get” the innuendo the writers put in. Everything was great! Loved the show. I hate that we at least have to wait at least another week to see Brianna reunited with Claire and meeting Jamie. I, too, love the return of Murtagh. But I am distressed with the writers for adding all the tension between the Native Americans and the new settlers. There was none of that in Diana’s books. Jamie, Claire and the Indians were always on good terms and Jamie was very careful not to encroach on the Treaty Line. And from previews of the next episode, the writers seem to be doing it again! However, I still enjoy the story! Great episode loved everything. At first I thought Claire called the pig Laoghaire 😂 when I listened the second time I heard lady/ ladies. I take the advice of the author put down the book and enjoy the show. The changes have really worked well. 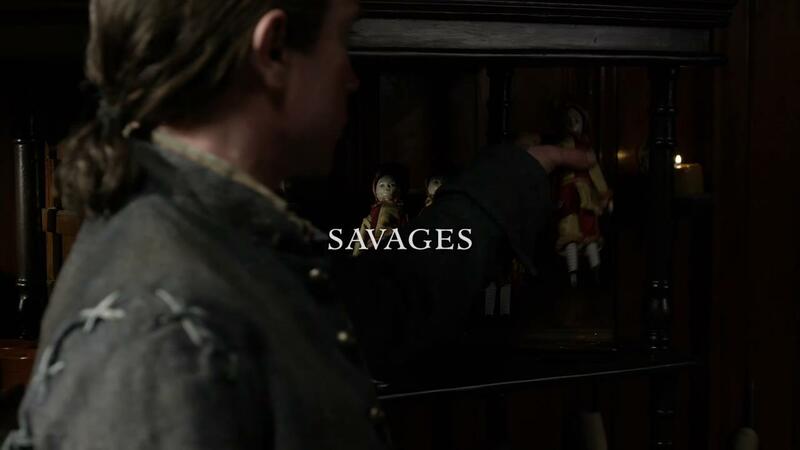 I loved this episode – Great scene when Jamie again met his Godfather, Murtagh. Loved it. This episode was heartbreaking, It full of heart stopping moments (when Claire came between the farmer and the indians). I have twatched his episode 2 times. Just as I thought Season 4 is amazing. Thank you for sharing the video above..